As for the lectures at schools for children under 18, we provide our lectures based on the consultation with school teachers. 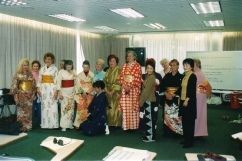 Some of the past examples of the children’s lectures include: Kabuki make-up, Japanese folk dances, kimono history and kimono wearing workshop. Please consult us for any requests for class topics if any assistance is needed! Beside our performance activities, we provide lectures at educational institutions about Japanese traditional performing arts, such as Kabuki, Noh, Kyogen, and their body movements. 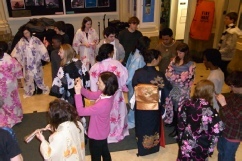 Also, we give educational sessions about Japanese traditional items and rituals connected to Japanese performing arts. Learning the wisdoms of such traditional items and rituals provides more depth in appreciating the performance and make the experience more interesting. These lectures may be combined with mini-performances as needed. These lectures are designed to show Japan’s unique way of life, the values retained in their customs as well as the spiritually in their rituals. 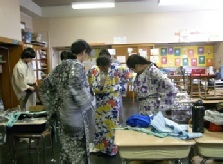 Our new program established recently is Kimono lecture. 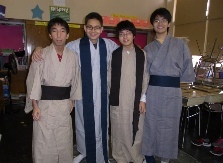 Japanese traditional clothing. 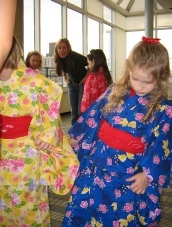 For details, please check the page on kimono lecture. 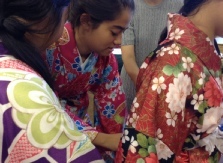 Perhaps, you might develop some interest in kimono here! The exposure to diversity of cultures and arts play some important roles in children’s education. 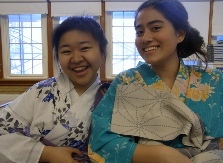 We visit schools and give children opportunities to experience various types of Japanese art forms such as kamishibai, otedama, ayatori and wearing Yukata (summer kimono) . 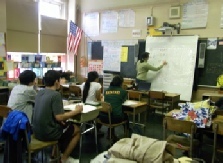 School Lectures projects are our relatively new projects. 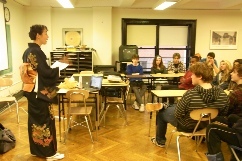 JPA visits schools to give lectures on Japanese traditional and modern performing arts, and related materials. 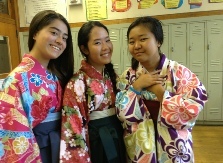 JPA is starting a new program at Japanese Weekend School of New York. The sessions are about Japanese culture with emphasis on performing arts. JPA will finalize the details of the new program working together with the teachers at the school.